Thirty three years ago, Mrs. Linda Watts had a vision and developed a community youth program that focused on linking youth with volunteer activities. 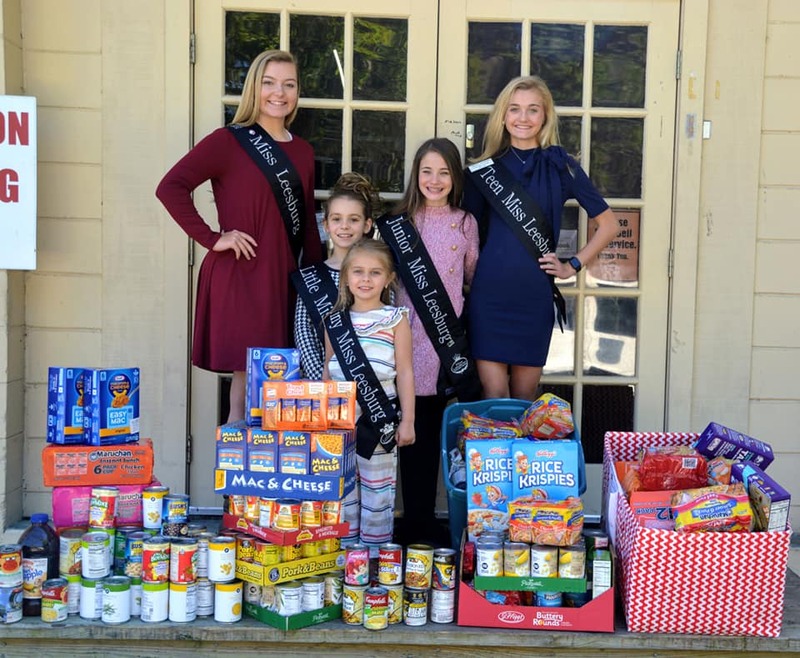 The Miss Leesburg Scholarship Program is a non profit educational youth organization, whose mission is to make a positive difference in the lives of young ladies of Leesburg, primarily through a professionally supported volunteer program. Our goal is to assist them in achieving their highest potential as they grow to become confident and caring individuals who show a commitment to volunteer work, leadership and standards of excellence. Five students are selected each year to represent Leesburg, with a focus on education (scholarships) and volunteer community service work. We are committed to stressing the importance of education through the scholarship program. The scholarship committee works throughout the year to raise money with fundraisers, donations, and ad sales in the pageant program book. Since 1997, we have awarded $ 165,000 to young ladies of Leesburg. All funds are used solely for scholarships, which are paid directly to the college of choice. Our scholarship fund is set up at a local bank and is managed by a board of directors. Each year our goal is to award $ 10,000 in scholarships to local students. The students selected give a year of service to our community and are proud to represent their hometown of Leesburg. The Miss Leesburg Scholarship Program is an outreach of Florida’s Hometown USA Program, Inc. - a 501(c)(3) non profit organization and registered with the Florida Solicitation of Contributions Department. Our educational program has built a solid reputation over the years and has proven to be a great success – thanks to the community support we receive. The students are also recognized by the Mayor, the City of Leesburg, Leesburg Chamber of Commerce, Leesburg Partnership, the Fire Department and Police Chief Rob Hicks. Some of our many volunteer activities are: Share Your Christmas Food Drive, annual Jacket Drive, Leesburg Christmas Stroll, the Downtown Partnership Boo Bash event, School supply drive for needy children, Diaper Drive for the Pregnancy Care Center and local daycares, Leesburg Center for the Arts activities, Relay for Life, American Cancer Society, Head Start projects and volunteering at Brookdale and many other projects. One of their most enjoyable activities is the "Adopt a Grandparent" program at the Brookdale Senior Center. Each girl is assigned a special person for a year. During this time she visits, shares, takes gifts, flowers and goodies and makes sure she is there for all holidays, birthday and other special occasions. They visit their grandparent each month and can stop by anytime. Each year, we award Miss Leesburg a $ 5,000 cash scholarship to the college of her choice (made payable to the college). The first runner up receives a $ 2,000 scholarship and second runner up receives $ 1,000. The four younger age group winners receive $ 500 cash. This is a total of $ 10,000 given to help further the education of these students. If more funds are available, more scholarships are given. In 2010, we awarded $ 12,000 in scholarships and in 2013 and 2014 we awarded $ 11,000. In 2016, 2017 and 2018, $ 13,000 was awarded each year. This included the OBG Lions Club Scholarship and the Sharon St. Cyr Kind and Humble Award.